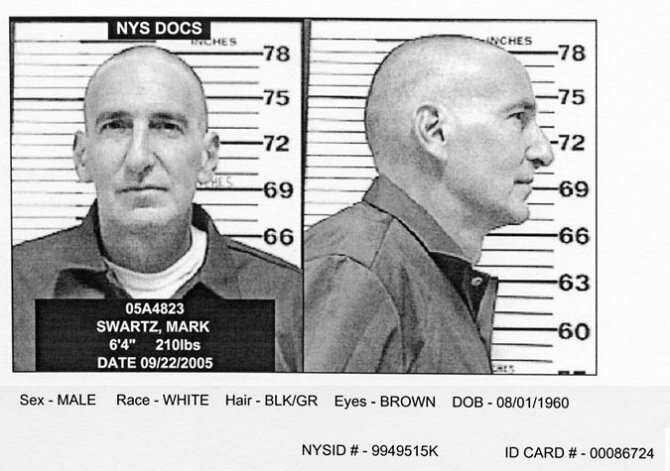 Mark Swartz, the former Tyco International CFO convicted of the firm's financial ransacking, posed for this New York State Department of Correctional Services mug shot in September 2005, days after he was sentenced to serve eight-and-one-third to 25 years in prison. Swartz, 45, was photographed at the maximum security Downstate Correctional Facility, which is located about 80 miles north of Manhattan. Prior to the photo, Swartz's head of curly hair fell victim to a prison rule requiring new inmates to have their domes shaved.